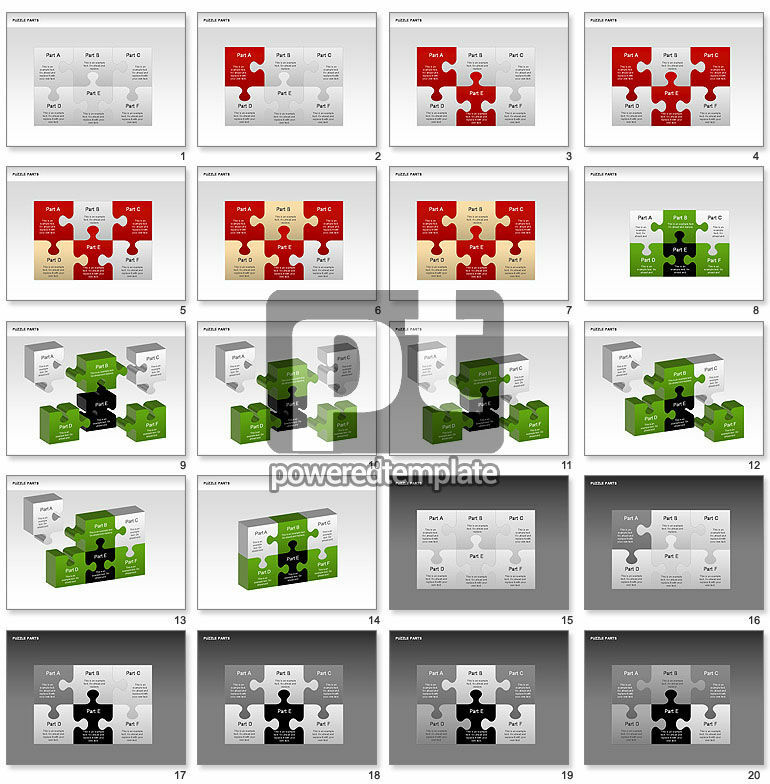 These presentation slides 27720 are complete compatible with Google Slides. Simple download PPTX and open the template in Google Slides. Terrific diagrams can be a great help in various presentations on solving puzzle, finding solutions and strategies, building and aparting the processes, making the goals, dividing into pieces, etc.